Charles E. Gannon is a breakthrough rising star in science fiction with a multiple short story and novella publications in Man-Kzin Wars XIII, Analog, and elsewhere. 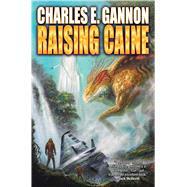 Gannon's debut novel for Baen was Fire with Fire. Gannon is coauthor with Steve White of Extremis, the latest entry in the legendary Starfire series created by David Weber. Other novels include 1635: The Papal Stakes cowritten with alternate history master, Eric Flint. A multiple Fulbright scholar, Gannon is Distinguished Professor of American Literature at St. Bonaventure University.